Samsung has been rolling out the Android Oreo update for most of the devices launched within the last couple of years. The Galaxy A8 Plus, being a relatively new phone, was destined to get the new update and it’s actually getting it. 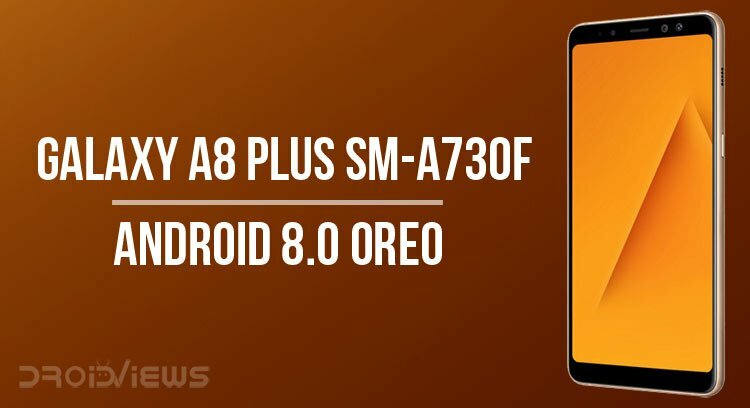 In this tutorial, we’ll tell you how you can install the official Android 8.0 Oreo firmware on Galaxy A8 Plus SM-A730F manually using Odin. The OTA update started rolling out from Russia and now it has made its way to different countries across the globe. In case you haven’t received the software update notification from Samsung yet, you can install it yourself by following our instructions. Android Oreo is a big update that brings some pretty cool things in its fold. 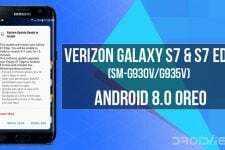 Besides bumping your Android version from Android 7.0 to 8.0, it comes with some tweaks in the user interface (Samsung Experience 9.0), improves the overall performance of the phone in terms of speed and better battery power management and optimization. If you aren’t just much excited yet, here’re a few more surprises for you. Having been updated to Android 8.0 Oreo, your Galaxy A8 Plus SM-A730F will support Dolby Atmos audio. Moreover, the Oreo update for the A8 Plus also brings the same user interface for the stock Samsung camera app found on the Galaxy S9 and S9 Plus. Without much ado and any further details, let’s get straight to the things that matter. First of all, you need to download the Odin tool, firmware for your device model and make a few preparations listed below. Make sure you have the latest Samsung USB Drivers installed on your PC. 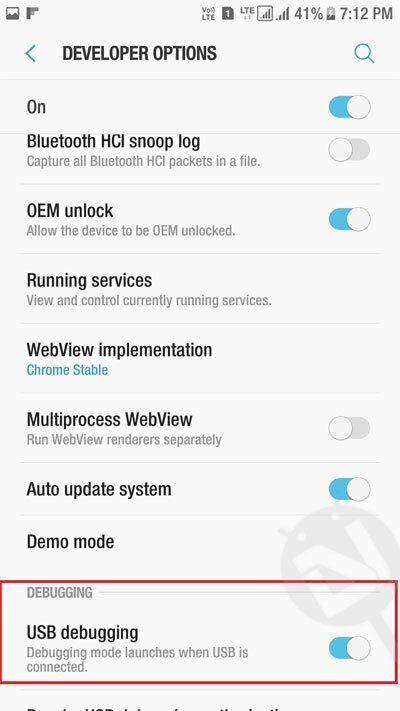 Enable OEM Unlock and USB Debugging under Developer Options. If you don’t know how to do that, read this tutorial. Backup the data saved on your Galaxy A8 Plus’ internal storage as a precaution. Charge your phone to have at least 60% battery level. Now follow these instructions carefully and patiently to install the stock Oreo firmware on your Samsung Galaxy A8+. 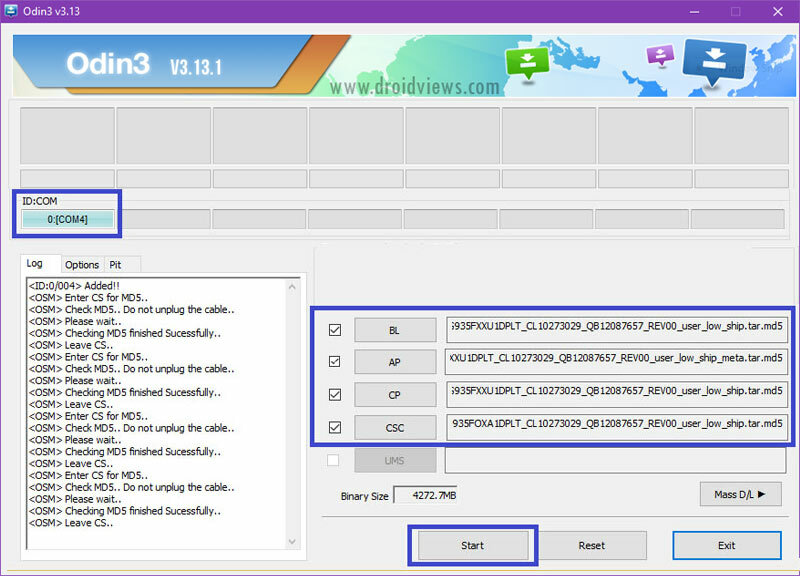 You can use the same step to flash the official ROM on any Samsung device. Unzip Odin3_v3.13.1.zip and the firmware zip file on your desktop. Inside the extracted firmware folder, you’ll find 4 files with .tar.md5 extension. Turn off your Galaxy A8 Plus and boot it into the Download or Odin mode. To do so, press and hold the Volume Down + Volume Up + Power buttons at the same time. Release the keys as soon as you see a blue screen with exclamation sign and then press the Volume Up key to enter the Download Mode. Now open the Odin folder and run Odin3_v3.13.1.exe as an administrator. Connect your A8 Plus to the PC using the USB cable that came with your phone. The ID:COM port in Odin will be highlighted to indicate a successful connection. Now You have to add the 4 firmware files to the respective fields in Odin. Click the BL button in Odin, navigate to the firmware folder and add the file that starts with BL in its name. Add the AP file to the AP section, CP file to CP, and the CSC file to the CSC box in Odin. Having added all files, make sure your Odin’s screen looks like as shown below. Finally, click the Start button to trigger the installation. The installation process will take a few minutes to finish, so wait patiently. On completion, you will get PASS! message in Odin and your phone will reboot automatically. You can now disconnect the USB cable. Since the first boot takes about 4-7 minutes, don’t panic and wait. When your Galaxy A8 Plus SM-A730F boots up, you’ll be able to enjoy the new-installed Android Oreo on your device. In case you notice any abnormal behavior like slow performance, app force-close, overheating, etc., we recommend performing a data factory reset. Doing so will fix such all such issues.